"If you look up the definition, it's 'an underlying feeling or influence' or 'a flow of water moving below the surface.' To me, that really encompasses the feeling behind this record." Sarah Jarosz came into my life through a Erwin Zijleman review. This led to my review of 'Build Me Up From Bones' in 2014. Now, two and a half years down the line, her new album Undercurrent is released. Again I'm all ears for the voice and music of Ms. Jarosz. Undercurrent is not so much a styleshift, which I took it for listening to the album for the first time, as different accents are laid on the same music. The outcome is quite different. The basis, Sarah Jarosz' voice, is even more prominent than on its predecessor. The difference is in all the embellishing instruments and drums that have gone missing in action. Strangely enough this is not the result of another production team behind the music. Jarosz again co-produced with Gary Paczosa and several people playing and singing are the same. Other favourites of Erwin are found singing harmonies, Aoife O'Donovan and Sara Watkins, e.g. It took me three listening sessions before I knew why I was dissatisfied with Undercurrent. You just read about it. Liking Build Me Up From Bones did not make me give up so easily. With the fourth session I made the time to really listen and a world opened itself. A world in which some great singing was sitting right in front of my face and me looking elsewhere. A world in which there's a load of undercurrent in the music. A world containing some great but a so subtle guitar playing. A world in bloom, fully, completely. Undercurrent because of this all, is ever so much more country in a subtle kind of way. At the same time this is a singer-songwriter album, while it is full of classy popsongs. Influence touches Bob Dylan, I can hear him sing 'Coming Undone', but also singer-songwriters from the 70s. The songs where the mandolin is the central instrument reach back far beyond the recording of music, while sounding very modern. Jarosz doesn't reach for authenticity but aims for a modern sound with hints at the past and found her own voice in the process. On 'Lost Dog' she plays the banjo. Automatically this gives a song an older feel. The singing and arrangement is 2016. The combination works just great. Sarah Jarosz still is only 25 years old, but convinces like a veteran in the genre. 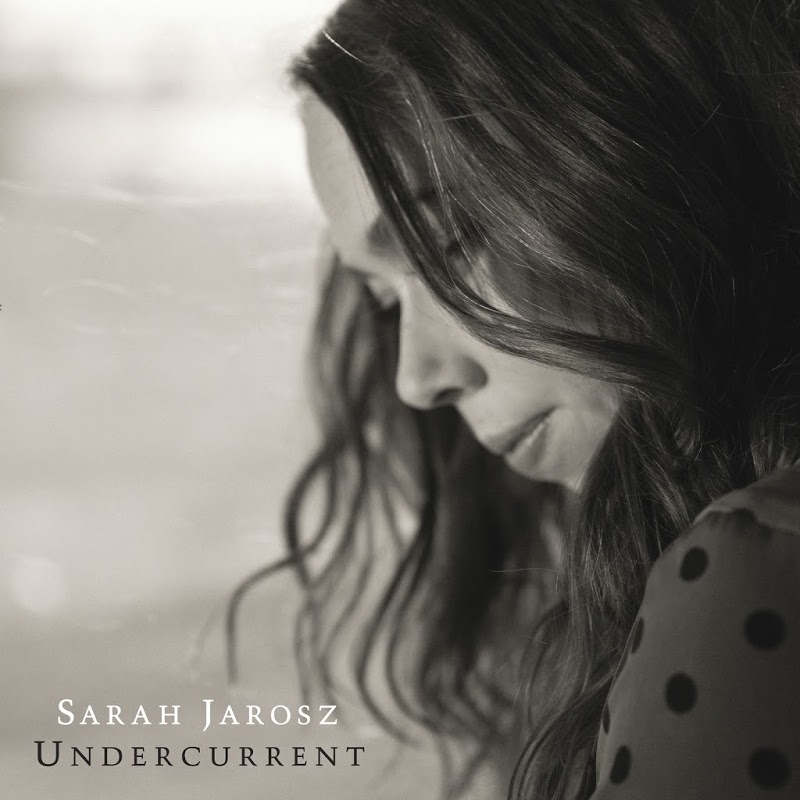 With Undercurrent Sarah Jarosz takes another leap into her career. Nearly three years is a long period in the life of an artist. She used it to finish school and to write a great bunch of songs together with her songwriting partners, but above all she dared to record them in a new and ever so fresh way, instead of following in the smooth slightly rocking sound of 'Build Me Up From Bones'. Sarah Jarosz has been called a talent many times. It's my impression that with her last two albums she went beyond that qualification. She's arrived and we're all better for it.